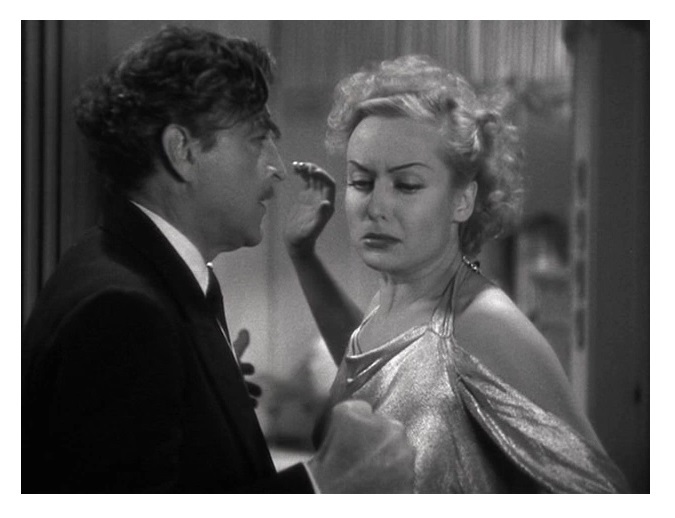 Broadway legend, Oscar Jaffe (John Barrymore, Grand Hotel), makes a big star out of unknown actress, Lily Garland (Carole Lombard, Nothing Sacred). They fall (madly) in love with each other, but unable to deal with Jaffe’s controlling nature, Lily leaves him for good. Jaffer’s theater career goes downhill as Lily becomes a huge Hollywood star. Three years later, Lily and Jaffe serendipitously meet again aboard the Twentieth Century Limited (a famous NYC passenger train), and Jaffe comes up with a devious plan to win back his muse. Director Howard Hawks’s (Bringing Up Baby) first foray into the looney world of screwball comedy is still one of his best films, and one of the best movies the genre has to offer. 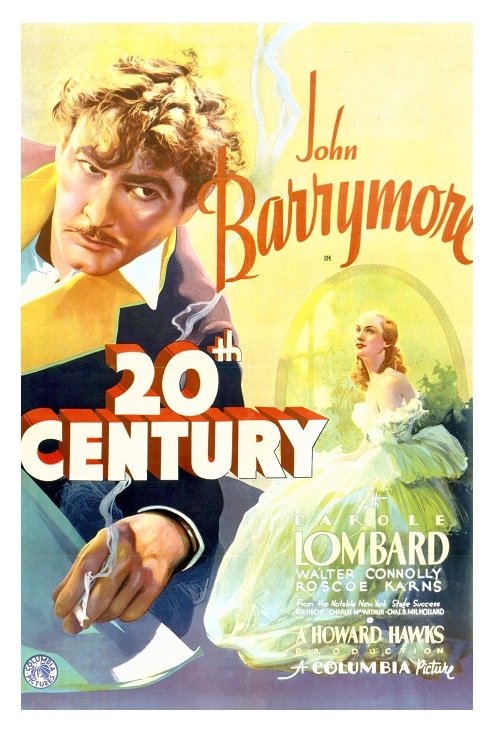 Twentieth Century is a personal favorite of mine — it’s simple, fast-paced, and absolutely hilarious. The cast is fantastic. Twentieth Century has so much energy that I always feel like taking a nap afterwards — it is that spirited! I’m not a nostalgic, but today’s comedies don’t know the difference between silly and stupid. I get very frustrated when I see modern comedians resorting to lazy, bottom-feeder punchlines. Here is a great example of how you construct gags in a totally organic way. The script, adapted from Charles Bruce Millholland’s play Napoleon of Broadway, is by Ben Hecht and Charles MacArthur. The famous team of writers have no qualms about lampooning anything from theater to Hollywood to organized religion. Hecht and MacArthur try to offend as many people as possible. 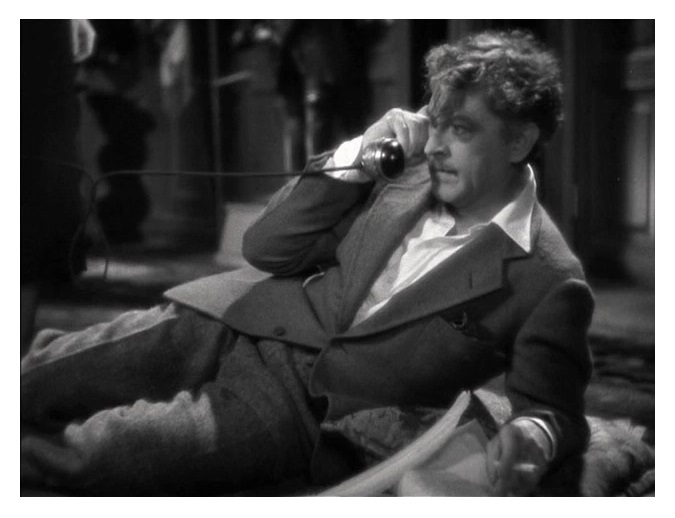 At the center of it all is John Barrymore, who gives perhaps his best performance as the egomaniac Jaffe. You believe he is that character and his vitality is nearly supernatural — Barrymore wears you out in a good way. I love Carole Lombard, but she’s somewhat overshadowed by Barrymore’s antics. That being said, Lombard goes toe-to-toe with her frantic co-star and the sparks fly. Character actor Walter Connolly (It Happened One Night) proves here that he was a farceur par excellence, holding his own against fierce competition. Connolly plays Barrymore’s long-suffering aide and he is simply superb. The uniformly excellent cast includes Roscoe Karns (His Girl Friday), Charles Lane (It’s a Wonderful Life), and Ralph Forbes (The Private Lives of Elizabeth and Essex). Twentieth Century is not the most famous of all screwball comedies, but it holds up great on repeated viewings — highly recommended! B&W, 91 minutes, Not Rated.